Being vegan is pretty easy nowadays, but sometimes, life hands us challenges. That’s why we’ve compiled our best tips for the most common issues plant-based people face out there in the real world. These resources are just the shortcuts you need to get straight to the advice and set yourself up for success…in any situation. Unless you’re subsisting on frozen veggie burgers and apples (tsk tsk, friend), you may find yourself spending a little extra time to prep healthful, real foods (that cucumber ain’t gonna chop itself…). And, if you’ve been stocking up on gourmet vegan products, sure, you’re going to get grocery store sticker shock . But, there are plenty of shopping and food prep strategies that will save you time and money, and help ensure that you’re eating a balanced diet. Stock your kitchen for success: Pantry staples like grains, legumes, beans, nuts, flours, and spices can all be procured in bulk for a song. Get the basics in your kitch, and meal planning and shopping will be as easy as filling in the blanks. Make lists and meal plans: Sure, you’ll feel a little like a nerd-alert, but some planning will set you up for success for the rest of the week and ensure that you won’t overspend at the store and will avoid wasting food. Making meal plans is also a lifesaver for busy families. Prep and store your food properly: Investing in quality food storage containers will make prepping when you get home from the store and meals on-the-go a breeze. Opt for clear glass containers so you can see everything in your fridge (Studies say doing so makes you more likely to eat it. Which would explain why you always want that cheesecake in the clear cases at your favorite diner). Look for coupons and buy in bulk: Contrary to popular belief, plenty of vegan and cruelty-free items make the weekly grocery circulars, and there are sites like Vegan Coupons and Vegan Perks that are designed to help you ferret those deals out. Hit up your Farmer’s Market: Eating locally isn’t just good for the environment, it’s good for your wallet and well-being. Your body called and told me that it really loves fresh, seasonal produce. So, there you have it. Be open to finding deals everywhere: Think big-box stores don’t have vegan items? Think again. Costco, SAM’s Club, and the like have excellent vegan products, like cruelty-free and vegan shampoo and conditioner, frozen veggie burgers and fruit, and organic produce for a lot less than other stores. Peruse the aisles one day and prepare to be amazed by how many items are explicitly listed as “vegan.” Hooray! Buy online: Some of us live in areas that don’t have a well-stocked health food store, so even finding tofu can be a challenge. Mail order is your friend. Sites like Drugstore.com and Vitacost accept manufacturers’ coupons, boast cruelty-free and vegan sections for home and personal care products and supplements, and often have excellent deals and free shipping. Believe me, having natural detergent shipped to your home is way easier than walking it home. Don’t fear the tofu: Don’t know what to do with beans and grains? Stumped by tofu and tempeh? Want to know the skinny on raw foods, cleansing, and juicing? We have posts for that. And if you still have questions, we have a big, beautiful, busting-at-the-seams-with-knowledgeable-and-supportive-experts Vegucated Schoolhouse Community where you ask and literally receive answers. Awesome! Shop seasonally and win big on flavor: Shopping your local farmer’s market is a cost-effective and delicious adventure. Not only will you discover a veritable cornucopia of fresh produce (and other goodies, like homemade jams and nut butters, salsas, dips, soaps…), but the folks who grow all of this beauty know how to cook it, too. When in doubt, ask them the best way to prepare something new-to-you. 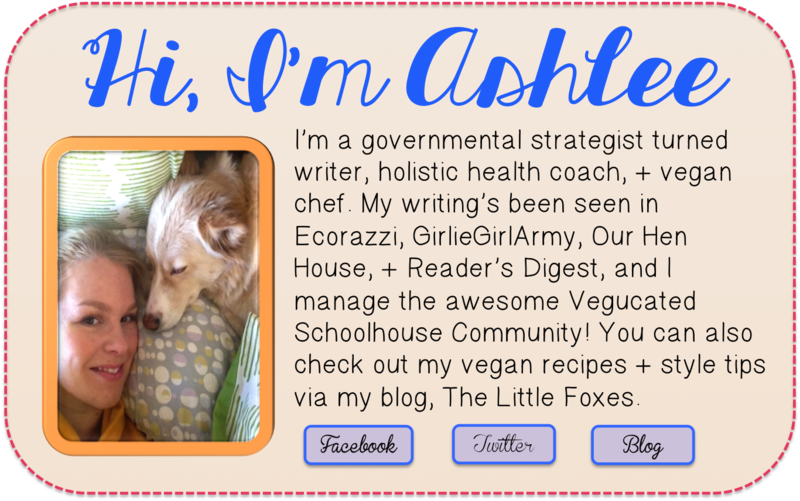 Get to know cookbooks and blogs: Do you know how many marvelous vegan cookbooks and recipe blogs are out there? Literally thousands upon thousands. Think you’re singled out because you have a gluten-intolerance, aversion to soy, or an allergy to nuts? Not so! And, if you’re cash-strapped, you can find many of these glittery, fabulous cookbooks at your local library (if not, request that they order something for you). And blogs are, by and large, free. Praise be! Check out these lists for some amazing online resources that will surely become your cookin’ conundrum go-tos: Psychology of Eating Top 50 Vegan Blogs, The Vegan Woman 2013 Vegan Food Blog Guide, 101 Leading Sites for Healthy Vegan Eating, 8 Best Vegan Blogs, and SkinnyScoop’s Top 25 Vegan Blogs. Let technology teach you the rest: If you’re not gifted in the kitch, why not get a help nudge from technology? There are lots of new, easy-to-follow cooking apps for smart phones and tablets, a vegan cooking show that is storming the public airwaves, and a vegan video cookbook by the talented chicks of Spork Foods (see our awesome interview and giveaway here), all here to save the culinary day. Have an expert do the work: If you’re not in to cooking, why not check out some of the awesome vegan meal-delivery services, like Veestro and Gobble Green? Healthy, tasty meals delivered right to your door! Check out our guides to conscious holiday gifting, planning parties with panache, and navigating Halloween, Thanksgiving, Christmas, Hanukkah, and New Year’s with loads of vegan style. 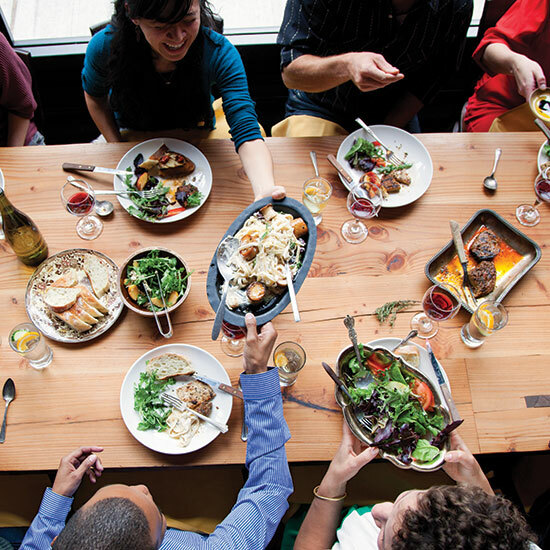 Hip to be square: A common concern is that dining out with friends will become a drag when vegan. Not so! Especially when there are guides to everything from drinking vegan to planning a veg-friendly picnic. A good rule of thumb: If you’re cool and confident about your choice to be vegan, good friends will respect it. Simple as that. Make new friends: There are so many outlets to connect with like-minded people. Check them out here. Even if you have an already amazing network of pals, who says there’s a cap on how many quality friendships you can have? Get out there and meet some cool vegans already. Single vegan seeks same: Dating can seem scary and daunting no matter what your dietary preference and lifestyle choices. Don’t let it be. In addition to myriad ways to connect with like-minded potential suitors, dating as a vegan can be great fun. 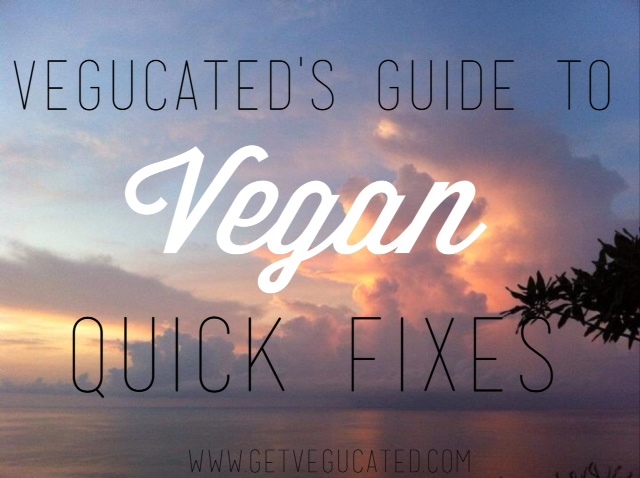 Check out our tips and resources for vegan dating. Be cool and confident: I used to have a job where I traveled constantly and spent countless hours at stuffy business dinners. Those dinners were often at steakhouses and oyster bars and other non-ideal locales for vegans. And guess what? It was a non-issue. Apps like Happy Cow make it easy to find classy establishments that are both business- and veg-friendly. And there’s nothing taboo about making vegan requests to your server. I don’t have a scientific study to back this up, but sometimes said casual requests lead to really interesting and positive conversations about veganism. You’re commuting. You’re traveling for work. You’re taking the kids to Grandma’s house 1,000 miles away in a car. You’re honeymooning in Rome. All of these instances are completely manageable as a vegan. Plan ahead: Get a lay of the land with apps and websites designed to help you locate veg-friendly dining establishments. Pack snacks. Find fun destinations (like a Sanctuary!) along the way. Stumped on what to pack or where to turn to for resources? We’ve got you covered here. Nobody’s perfect, but often times, folks transition to a vegan diet and get to thinking about the rest of their lives. Where do I find non-leather shoes? What do I look for if I want non-animal tested cosmetics? Where can I shop for products that are ethical? So many opportunities for veganizing your life can be daunting! Luckily, we’ve compiled resources to get you started. Know what to look for and what to avoid: Interested in finding out what fabrics are animal-friendly (hint: not fur)? Want to know how to spot cruelty-free lipstick? Know where to go: There are loads of online and brick and mortar stores that carry personal care products and fashion that fit in with your lifestyle values. Check out some of the subscription services if you’re pressed for time. Clean with Kindness: Donating and tidying up with attention to environmental- and animal-friendly products is always a good idea. Check out of Vegucated Guide to Vegan Spring Cleaning (it’s a good idea, no matter what the season) to get you started. Have a great tip or resource that you’d like to share?